After an abysmal 2018, real estate investment trusts (REITs) have been on a roll this year. After pulling one of the worst performances since the Great Recession, REITs have surged by double digits in 2019 as investors have flocked back to the sector. And there’s plenty of reasons why. For starters, the Federal Reserve and its dovishness have provided a base for the sector. As a high-yielding security type, REITs generally take it on the chin when the Fed raises benchmark interest rates. But with Powell & Company pausing, investors can own the REITs’ better-than-average dividend yields much more safely. Secondly, that pause in rates makes it much cheaper for real estate firms to take out mortgages and loans to buy/build properties. Meanwhile, the still-growing economy has continued to strengthen a variety of real estate sectors, including office, industrial and even retail properties. With better cash flows and rent growth, the REITs have been stellar this year. And it looks like they can keep the party going. 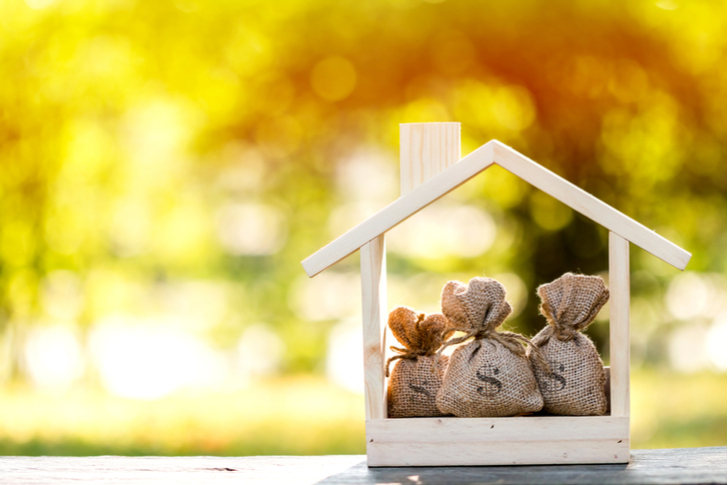 While we probably won’t see continued double-digit jumps throughout the rest of 2019, the combination of high dividends and some decent capital appreciation will still make owning REITs a highly desirable prospect in the quarters ahead. With that, here are five of the best REITs to buy today. Despite owning a decent sized house and a shed, every weekend I see my neighbors zoom off and back to exchange items at their storage facility. And I know they aren’t alone. Americans have too much stuff, and Public Storage (NYSE:PSA) is helping solve the problem of where to keep it all. PSA is the world’s largest owner and operator of self-storage facilities. The firm owns more than 2,500 locations across the United States with more than 170 million square feet of rentable space. And it turns out, Americans need that space. Since the recession, PSA has benefited from the trend of downsizing and the rise of apartment dwelling. People still need space to store holiday decorations, special items, and even clothes. Here, thanks to its massive footprint, Public Storage has been able to capitalize on America’s needs. Occupancy rates for its facilities topped 90% during the last reported quarter. Perhaps the best part is, that thanks to its low cost of maintenance, building and operating expenses, PSA is able to pull in plenty of cash flows from its properties. Funds from operations — which determine dividends — rose more than 7.7% overall of 2018. This has allowed PSA to pay a very juicy 3.7% dividend. With continued rent hikes and demand, PSA should be able to keep the dividends coming. And that makes it a strong choice among REITs. 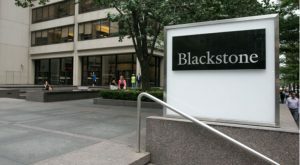 With the Fed pausing on its rate of hikes, Blackstone Mortgage Trust (NASDAQ:BXMT) could be a rewarding, high-yielding play. BXMT is considered a mortgage REIT. That is, the firm doesn’t own physical properties but invests in mortgages or loans tied to buildings. Since these paper REITs often use leverage and don’t physically own the buildings, they are sometimes considered riskier than then equity REIT sisters. As a result, you get a higher yield. In this case, BXMT is paying out more than 7.1%. However, that high yield does mask some “safety” with BXMT. For starters, with the Fed pausing, it takes the pressure off of Blackstone’s ability to use leverage. But secondly, the REIT’s portfolio of loans is top notch. Using its expertise from parent Blackstone Group (NYSE:BX), BXMT’s portfolio focuses on senior — read: first in line during bankruptcy — loans. The amazing thing is that 100% of its portfolio is performing and paying their interest back on time. As if it couldn’t get any better, 96% of its portfolio is floating rate and will adjust higher if the Fed raises benchmarks again. This strength is a rarity among the mREITs. This focus on quality and cash flows has allowed BXMT to cover its dividend by more than 117%. With more firepower in its reserves and BX’s backing, BXMT makes a very compelling high-yield REIT to add to any portfolio. With the economy growing, travel and leisure have come back in a big way. That seems to benefit the hotel REITs. And the king of them all is Host Hotels and Resorts (NYSE:HST). Host owns 93 properties with around 52,000 rooms. The vast bulk of these are luxury and upper upscale resort, large convention center, and city center hotel. Or as HST likes to call them “Iconic Assets That Cannot Be Replicated.” These aren’t your local Holiday Inn Express. This has benefited Host is a variety of ways. For one thing, its revenue per available room (RevPAR) is very high and averaged $272 per room for its total portfolio last quarter. It’s top 40 assets pulled in over $360 per room. This is extremely high, as luxury resort seekers don’t usually skimp on the extras. 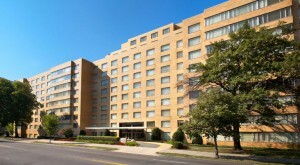 Even better is that hotel REITs are able to adjust their rent rates daily to reflect demand. With travel rising, Host has been able to score higher rates and in turn, higher RevPAR figures. That’s important because all of that drives dividends. After cutting its dividend to a penny back during the recession, Host has been able to grow its payout by 1,900% as well as pay a few special dividends and grow its cash hoard to over $1.5 billion. 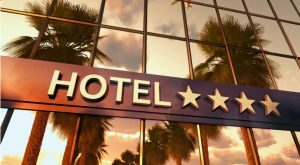 All in all, when it comes to REITs, Host Hotels has the right mix of properties to drive future returns. When it comes to real estate, the old adage still rings true. It really is about “location, location and location.” And apartment REIT Equity Residential (NYSE:EQR) has managed to turn its locations into gold mines. Founded by real estate guru Sam Zell, EQR is a powerhouse in the apartment sector with more than 300 different communities and 79,000 apartment units. The key is that these buildings are located in six core markets of Boston, New York, D.C., Seattle, San Francisco, and Southern California. These six markets all feature high home prices, low supplies of rental units and strong younger demographics — all things that are very conducive to apartments. As a result, EQR’s properties are at a high 96%-plus occupancy rate. That operating area and high demand allow it to steadily increase rates at above-average levels. With these prime assets and rent growth, EQR has been a dividend machine. The firm has grown its dividend since 2010 at a nearly 5% annual growth rate (CAGR). It recently upped its payout again at the start of this year. Meanwhile, EQR has paid plenty in special dividends as well. In the end, location is what drives REIT success, and EQR has it in spades. As the saying goes, If you can make it in New York, you can make it anywhere. New York-based REIT SL Green Realty (NYSE:SLG) is proof of that. SLG is the largest owner of office properties in New York City. The firm owns more than 101 different buildings in Manhattan, including some of the priciest digs and sought-after office spaces. Additionally, the REIT holds plenty of office and retail space in Brooklyn, Westchester and neighboring Connecticut and New Jersey. All in all, SLG’s portfolio features some of the most irreplaceable buildings in the entire city. As such, the REIT is able to charge some pretty hefty rents for its properties while still enjoying high occupancy rates. New York City rents have stayed pretty stable since the end of the recession. Meanwhile, SLG has been smartly selling off smaller assets and many of its suburban properties to provide capital for its rich development pipeline. This includes several show-stopper buildings that have already been leased to near-capacity. Ultimately, recycling this capital makes sense and SLG should enjoy higher rents/occupancy rates when its construction is online. As they wait, investors in SLG stock can enjoy its 3.9% dividend that has slowly grown over the years. At the time of writing, Aaron Levitt did not hold a position in any of the REITs mentioned. 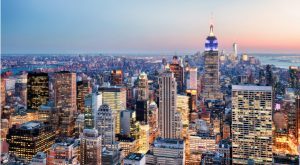 Article printed from InvestorPlace Media, https://investorplace.com/2019/04/5-wonderful-reits-to-buy-today/.